Once upon a time I was wary of using brushes made of natural hair for cream and liquid products. Luckily, I got over it. 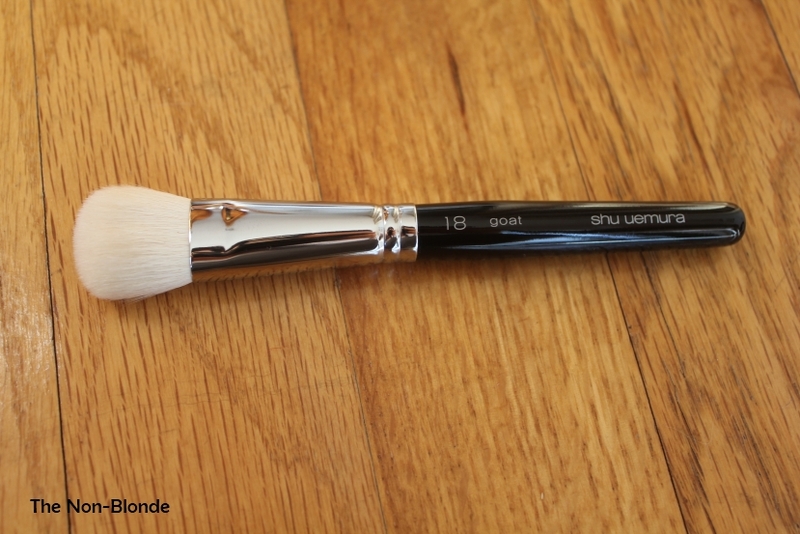 Shu Uemura Natural 18 Foundation Brush is made of goat hair and I love it. 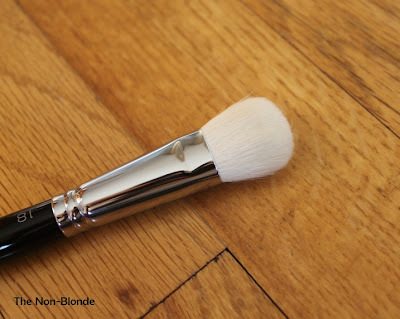 This brush works for me with everything from LMdB Peau Vierge to the creamiest foundations. It applies the coverage in a thin and even layer and doesn't streak. While nowhere nearly as soft as Hakuhodo 210, this is still a gentle enough brush to use on days my skin feels tight and sensitive. Unlike many a goat brush of similar shape, I doubt my Natural 18 has lost even one hair in the 8 or nine months I've had it. 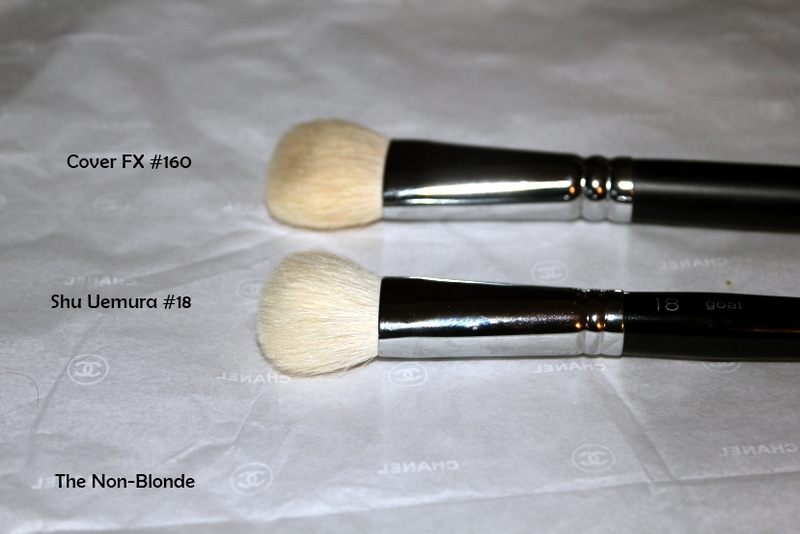 Shu Uemura Natural 18 brush is on the medium to medium-small side. It reaches most nooks and crannies and doesn't require any special technique. 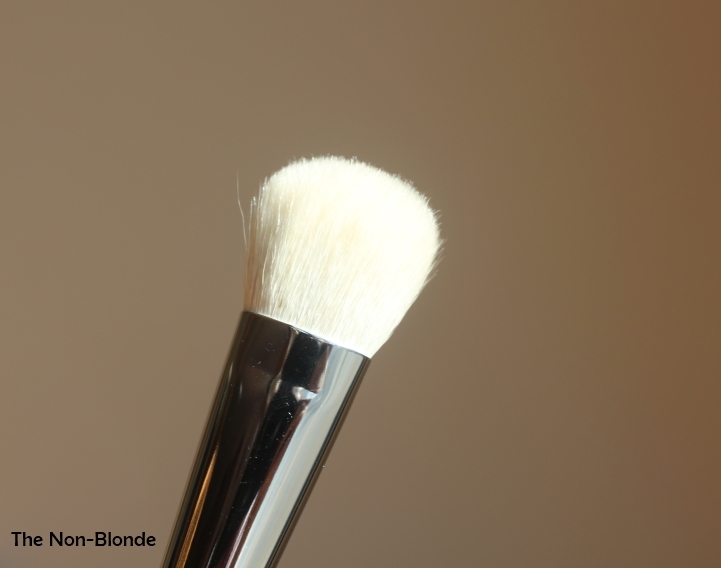 It's like a smaller and more precise version of an old favorite, Cover FX #160 foundation brush. The shape is nearly identical and both are made of white goat hair. I love this shape for foundation brushes, because they're excellent for blending and they give a quick and easy application. They're not meant for stippling or serious buffing, but that's why one needs variety, right? Bottom Line: you can't go wrong with Shu. Shu Uemura Natural 18 Foundation Brush ($42) is available from shuuemura-usa.com. If you live outside the US you can also find it at your nearest Shu counter. 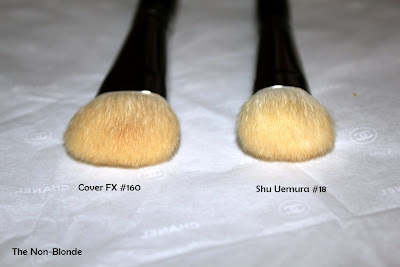 Do you prefer the Cover Fx brush or Shu Uemura brush? TBC, it's a classic. I can see myself getting a backup at some point. Joyce, I really like both. Since the Shu is smaller and more directional I can do a more precise job with it, but it's not that important in a foundation brush. I'm wondering if I should try the CoverFX brush? It is less than half the price for me here and easily accessible. What do you think? Is it worth the investment in Shu for this style of brush? This sounds beautiful! However, how do you clean it? I was using the Armani blender brush for foundation which I loved but I could not get all the foundation out of it. Any advice for cleaning natural hair foundation brushes? I bought the Shu Natural 18 originally to apply the Armani and Chantecaille cream foundations - which it does admirably. In fact, it's the only foundation brush I regularly use. Mostly I just apply foundation with my fingers. But this brush is also my favourite for applying and blending cream blushes. The small head is the perfect size for cream blushes from Becca and Edward Bess. The only fault I can find with it is that mine did shed quite badly when it was new, and still loses a hair on occasion while I'm using it. Joolz, I use Shu Uemura's Brush Cleaner with mine to spot-clean after use. Every week or two, I give mine a good wash with shampoo. Diana - Thanks! I was using shampoo but after rinsing, I would blot it with a towel and I could still see the foundation coming out. Maybe I wasn't thorough enough. where I can buy shu uemura # 18 brush in US?